Thank-you to everyone who made Over the Air 2010 a resounding success! One of the key features of Over the Air is the in-event competition, which gives you a chance to show off the clever and fun ideas you’ve been coding and hacking away at over the course of the event. We’ve had some really great entries over the years, and look forward to seeing many clever innovations again this year. The hack-a-thon competition entry form is now closed. There are Terms & Conditions for entering the competition, which you can read here (and which you implicitly agree to when you submit an entry). As well as kudos, glory and general street cred – we also have some lovely prizes for our competition winners courtesy of our very generous Sponsors and Supporters. The lovely team over at Monotype Imaging have been racking their brains for a very special gift they could give the hack-a-thon winners tomorrow. The first in a series of limited edition prints features the Gill Sans(R) Bold Extra Condensed typeface, available for $200 (about GBP 108) from http://www.monotypefoundation.com . 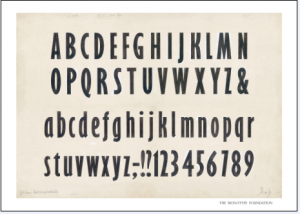 Eric Gill, the British typographer, sculptor and engraver created the design in 1937 as part of the Gill Sans typeface family. 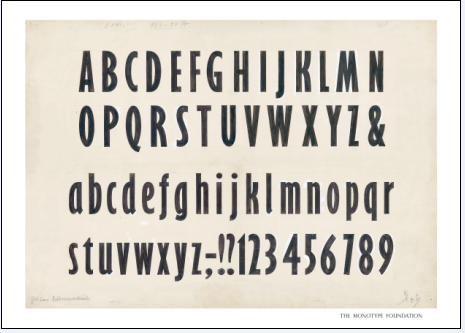 Inspired by the sans serif lettering by the calligrapher Edward Johnston in 1916 for the London Underground public transportation system, the Gill Sans typeface has been considered Gill’s most enduring legacy to typography. Companies including AT&T and the British Broadcasting Corp. have incorporated the Gill Sans design into their brand identity programs. Gill Sans fonts are also part of the Mac OS(R) X operating system which runs in millions of Macintosh(R) computers. n November 2009, PayPal opened its global payments platform to third-party developers, ushering in a new generation of innovative payments. PayPal X is the world’s first truly open global online payment platform – giving developers access to its global payment engine built over the last decade with more than 87 million active PayPal accounts available in 190 markets and 24 currencies. The PayPal X Developer Network puts developers in the driver’s seat, providing the resources and the tools needed to change the future of payments – from mobile apps to web apps and social networks. Developers can now monetize their ideas and tap into the $30 trillion global payments opportunity – the next wave of payments innovation is now in their hands. What is the Over the Air PayPal X Challenge? The Best Mobile application on iPhone/iPad/Android embedding PayPal Adaptive Payment libraries will be awarded with an HTC Android Smartphone. For those that attended PayPal session on their brand new libraries for in-application and mobile browser based payments, please see https://www.x.com/community/ppx/xspaces/mobile for more information. PayPal continues to optimise payments for mobile devices with options for both in-application and mobile browser based checkout experiences on iPhone and Android. They’re simple to integrate and make it easy for buyers to make payments without leaving your application or mobile browser checkout flow. The new mobile interface has been designed to maximise checkout conversion through effective buyer experience, and build on the broad range of APIs already available on PayPal for creating a variety of different types of payments from one-off payments to subscriptions and pre-approvals. While we put together the details for Over the Air 2011, you can refer to last year’s programme as a rough guide to the format and timing of the event, which will stay largely the same. Michaël Chaize, Adobe What have The Guardian Ever Done For US? Matt Wood, Amazon Web Services Connecting the Real World With Your Mobile! Kenton Price & Reuben Harris, Little Fluffy Toys Ltd.
bemoko are the power behind web developers and digital agencies’ mobile offerings, providing development expertise and leading edge software enabling them to deliver the most advanced, content-rich mobile campaigns and applications available today. Where agencies once struggled to genuinely deliver a complete and uninhibited mobile experience to their clients, they are now able to confidently attack the market with breathtaking results in a fraction of the time and cost than trying to tackle it alone. For companies without the in-house expertise bemoko provide development capabilities which can be fully outsourced or embedded into your team – giving you the resource and expertise to deliver mobile campaigns to your customers when you need it and without the need for heavy investment. 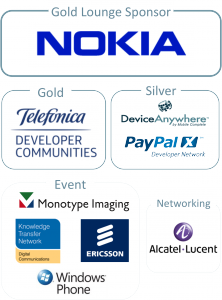 Alcatel Lucent have built a developer community to give you a place to share your knowledge, ask questions, build and test great applications, and, ultimately get them noticed so you can make money and find fame. And, as if that weren’t enough, you will be joining a new movement to bring together what until recently have been two distant communities: developers who want access to network resources and the service providers who want you to build apps using those services. What happens when today’s app hype breaks free of web 2.0 and goes mainstream (and by mainstream we mean the enterprise where the real money is)? What do developers need to do differently to build apps for the enterprise? 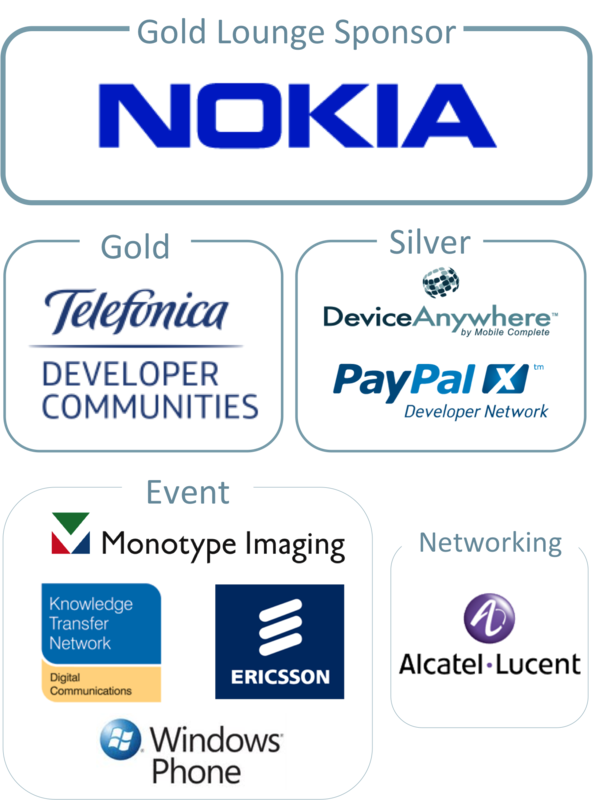 Richard Pulliam – Alcatel-Lucent’s primary link between developers and enterprises across several vertical industries — will lead a highly interactive session (no slides…yay!) to discuss what developers need to know to tap into the enterprise market, what enterprises need to know about working with developers, and who the non-tech companies are that developers most want to build apps around. Additionally, Alcatel-Lucent will give away an iPad to one lucky attendee. Come and chill-out with us in the Dining Hall on the Ground Floor of Sherfield on Friday evening, from 19:00 until 22:00. DCKTN is pleased to be supporting us in running a Pitch Workshop at this year’s Over The Air which we’re very pleased about indeed. We have Penny Jackson and David Terrar heading up the workshop and their aim is to help individuals learn how to pitch their mobile product, service or business more effectively whether that’s to consumers, clients, partners or investors. It’s a two-hour session incorporating lots of hands-on tasks, role-play and discussions and there are just 12 places available. If there is enough interest, we will run two sessions during Over The Air and if there is a lot of interest, we will aim to run further sessions in the coming months via Mobile Monday London and DCKTN. Ericsson Labs is a concept for open innovation. The site holds APIs, resources, offerings, and various expert commentaries, produced by Ericsson. This assortment provides technologies and communities for developers and makes it easy to get in touch with a variety of experts from different fields. The cutting-edge technologies available on Labs help developers create new innovative services. These services can then be made available to end-users via any established application store or to other developers at Ericsson Labs via our applications showroom. This session from Vladimir Katardjiev will explore how the internet has changed users’ expectations on applications, how html5 impacts application development, and how applications will need to communicate with each-other in the future. In addition, prototypes on hand will show how both web and native applications can evolve to meet the needs of tomorrow’s users. Vladimir is a member of Ericsson Research’s web technology group, where he works with emerging web technologies and how they influence applications and network activity. He co-developed Ericsson Labs’ EventSource and Web Connectivity APIs, aimed at providing mainstream browsers with the communication tools of the future. Ericsson Labs is also supporting our hackathon and will give out details of their category during this session as well. They’ll have team members on hand all weekend at Over The Air to discuss the details of that in more detail.